In what’s become an ever-growing yearly celebration of the life and loves of the dearly departed Simon “Dr. 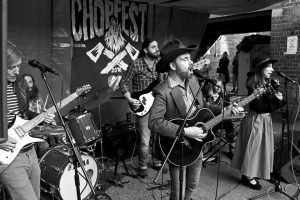 Chop” Mowforth, the fourth annual Chopfest (this time dubbed “The Raven”) will see a monumental line-up of the kind of bands, DJs and general merry-making that the Doc would’ve ordered. 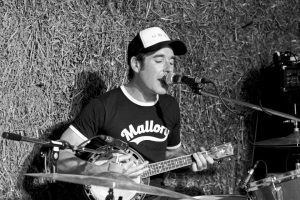 Here are a few words on the great man from one of the many minstrels set to put a smile on your face come August the 4th: a dear pal of Simon’s and ours, Mr. Benjamin Cockayne. “Simon, a.k.a. Doctor Chop, was a musician, scholar, skater, and friend to many. He passed away suddenly just over four years ago, in his adopted home in Taiwan. Born in Ashington, and raised in Chesterfield, where he met many of those who were still his closest friends, he studied English at Sheffield Hallam University. There he made a place for himself in the city’s music scene as a member of The Carol-Anne Showband. A talented guitarist, he also played with Jake Flowers, Double No No, and Sid Caribou. Having taken an interest in the Chinese language, he continued his studies, and following bandmate Shaun Armstrong to the city of Taichung, he taught English to Taiwanese children, and played guitar in The Ever So Friendlies. He met his girlfriend, Kelly, whom he loved very much and who has since spent time in Sheffield to be with many of his friends. He leaves loving parents and sister, Anne, George, and Steph. We hope you can make it down from 3pm on the day to join the party. 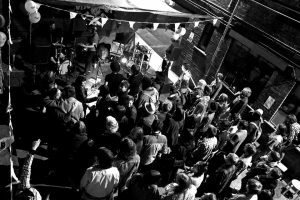 It’s a mere fiver in with all proceeds split between Foodhall Sheffield, the venue for the event and food fairness heroes here in Sheffield, and Delicious Clam, the epitome of DIY, community music. Both of these community groups would’ve been firm faves of the man himself, so please check out their doings via the links below. 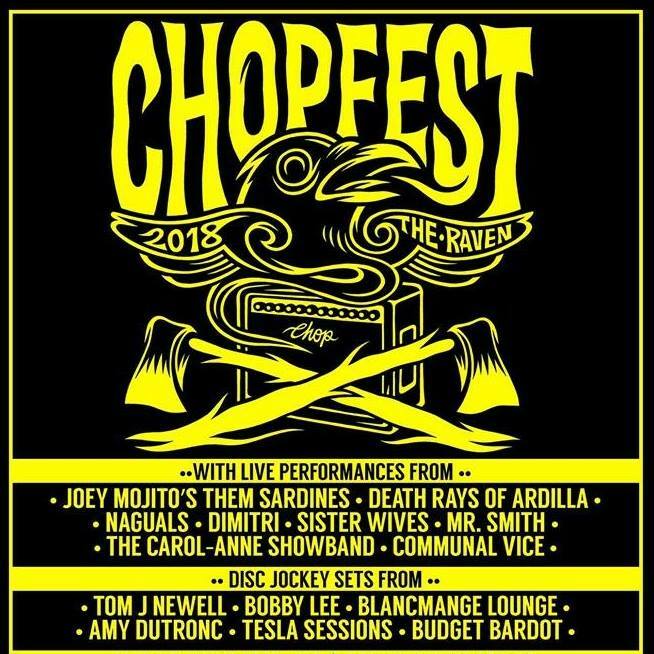 You can buy tickets for Chopfest online here, in advance from Syd & Mallory on Devonshire Street, or on the door at the event. Chopfest artwork courtesy of Tom J Newell. Photography courtesy of Carl Hilton.